Here you’ve found the only location on the internet that not only offers great 968 information but also, that PCA “connection”! My name is Jeff Coe and I’m a long time Porsche 968 fan having purchased my first 968 back in 1996. 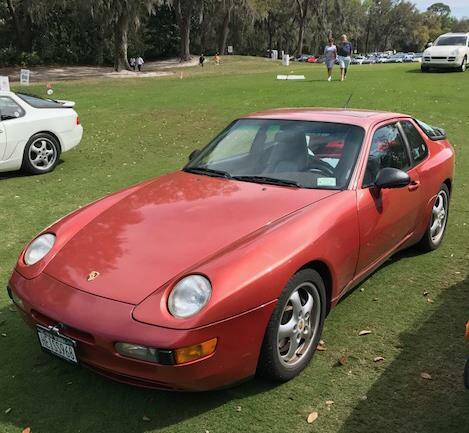 I’ve been a PCA member since 1993 and I’m the current register advocate for the Porsche 968 special interest group.As you peruse the site you will find lots of great information about the cars and the club. My main area of interest for the Porsche 968 has always been production data so be sure to check out that section of the site to see the results of my data-collecting work dating back to 1998. If you aren’t a registered member please fill out an application and we’ll get you added to the registry distribution list. As a list member you’ll receive the registry e-newsletters which will keep you informed of PCA events along with 968-related factoids. You’ll also receive a free PCA 968 Register vehicle production profile so you’ll know how your 968 compares to the production run. Enjoy the site and be sure to enjoy your 968!